An emerging theory among U.S. military investigators is that the Army Special Forces soldiers ambushed in Niger were set up by terrorists, who were tipped off in advance about a meeting in a village sympathetic to local ISIS affiliates, three U.S. officials who have been briefed on the matter told NBC News. The group of American Green Berets and support soldiers had requested a meeting with elders of a village that was seen as supportive of the Islamic State, and they attended the meeting around 11 a.m. local time Oct. 4, after a long night of patrolling, the officials said. 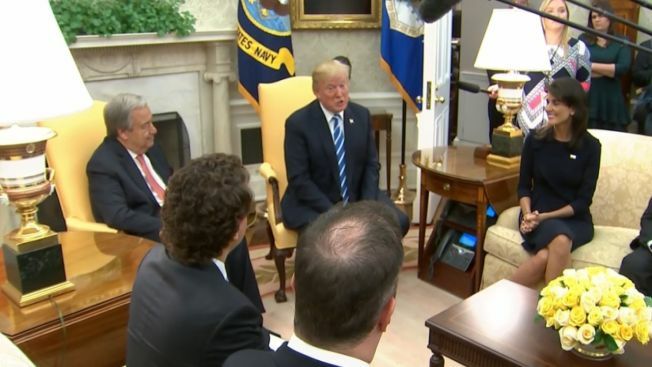 Such meetings are a routine part of the Green Beret mission, but it wasn't clear whether this meeting was part of the unit's plan. Gen. Joseph Dunford, chairman of the Joint Chiefs of Staff, did not address that theory when he briefed reporters on the incident Monday. He said the troops had been on a reconnaissance mission. Three weeks after the deadly attack, the U.S. military is grappling to get a handle on the basic facts of what led to the deaths and about the U.S. mission in Niger. Among the questions was whether the mission changed; whether the intelligence was good enough, and why one of the fallen soldiers was separated from the rest of the unit. 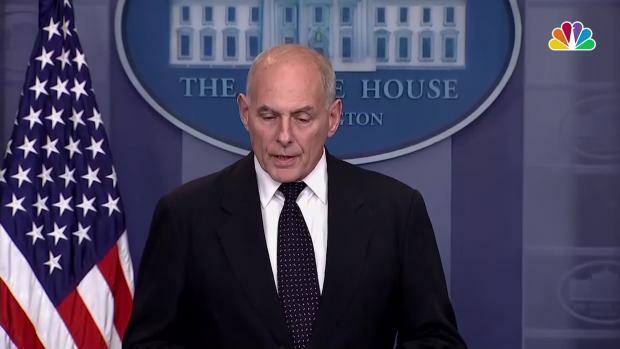 White House chief of staff John Kelly said Thursday he was "stunned" and "broken hearted" by a Florida congresswoman woman's criticism of President Donald Trump's phone call to one of the families of Americans killed in Niger nearly two weeks ago.